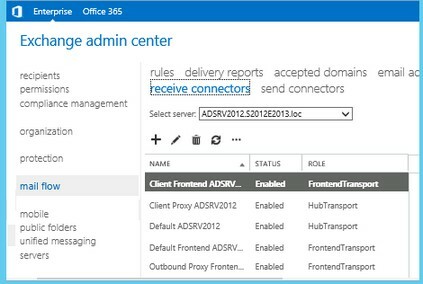 Open the Microsoft Exchange Admin Center and navigate to the mail flow - receive connectors. 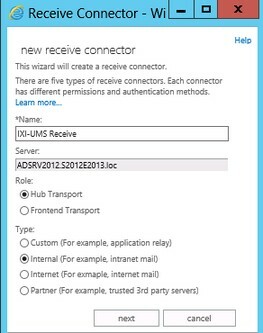 Start the wizard via the plus-sign to set up a "new receive connector". 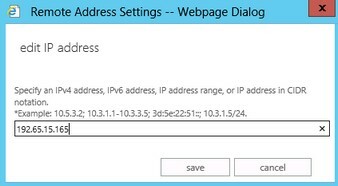 Appoint a name and select "Custom"
As the IXI-UMS is located in the local network by default, you can select "Internal" as type. In a more complex environment, please adjust the settings according to your organization. 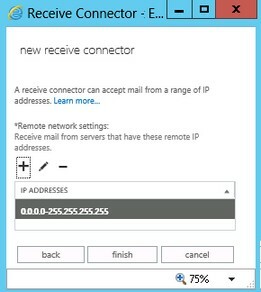 Depending on which setting you have selected, various settings are queried now, which can be changed any time later on, however. 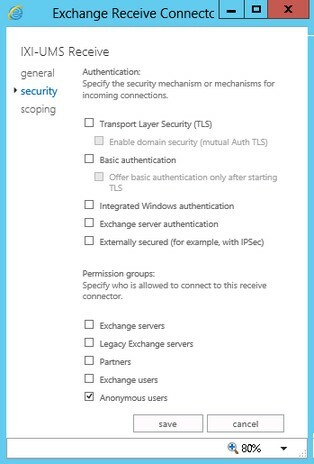 After that, please open the Connector entry and remove all the checkmarks at "security"